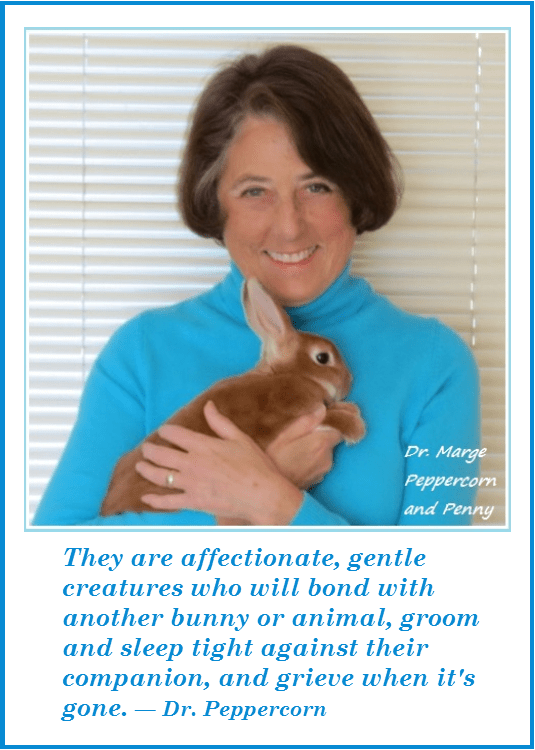 I couldn’t resist sharing this beautiful gentle piece by Marge Peppercorn, as beautiful and gentle as the little creatures who star in it. All animals deserve lives free from human inflicted suffering, but for me, inflicting pain on gentle, helpless and terrified creatures precisely because they are so gentle and less able to make their distress known is particularly unconscionable. I hope what I’ve learned from Penny helps us all better understand the subtle language of rabbits and their clear desire not to be hurt. animal loving minds think alike 🙂 – just posted the same news!